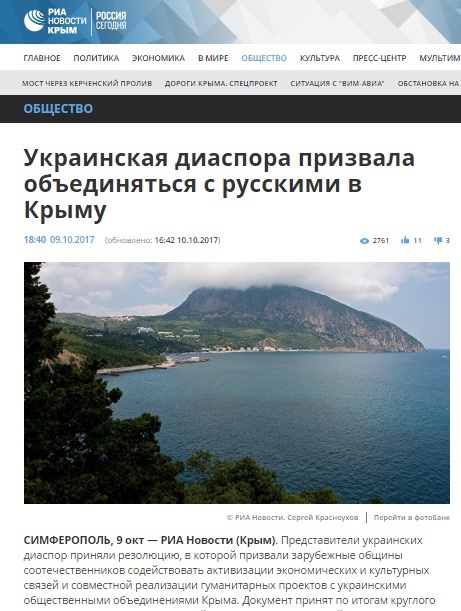 Russian and Crimean media reported last week that an international congress of Ukrainian diaspora organizations was held on the Russian occupied Crimea peninsula. 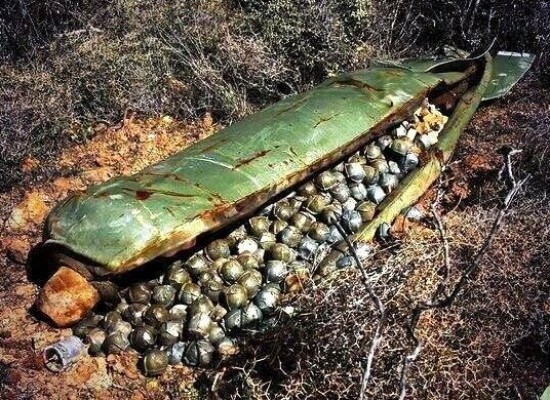 The congress declared that it wanted to collaborate with what they called “constructive segments of Ukraine’s population”. Organizers claimed representatives from several European countries attended the gathering, including from the Ukrainian mainland, but these were not named for security reasons, RIA Novosti reported. Real Ukrainian diaspora organizations condemned the congress as yet another Russian serving disinformation exercise. 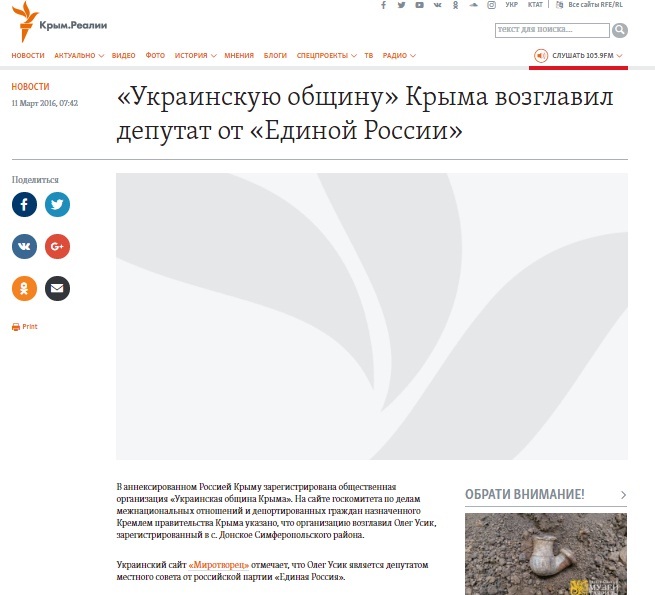 One of the Russian players in this fake, Zaur Smirnov, chairman of the so-called Crimean State Committee for Interethnic Relations and Deported Citizens of the Crimea, wrote on his Facebook page that “Ukrainian diasporas are ready to declare to the entire world that the Kyiv regime has no right to speak on behalf of the entire Ukrainian people”. 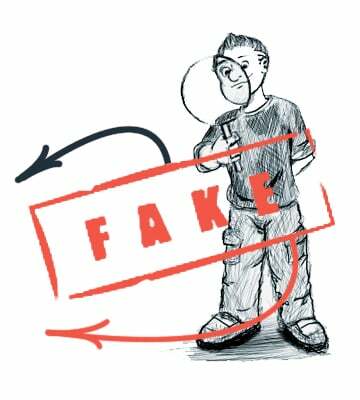 Lenta.ru, Krym.net, Russian Defense Ministry television channel Zvezda, REN TV,Vzglyad, Argumenty i Fakty, Kerch.FM, Pravda.ru, Voyennoye Obozrenie among others wrote about the fake congress. 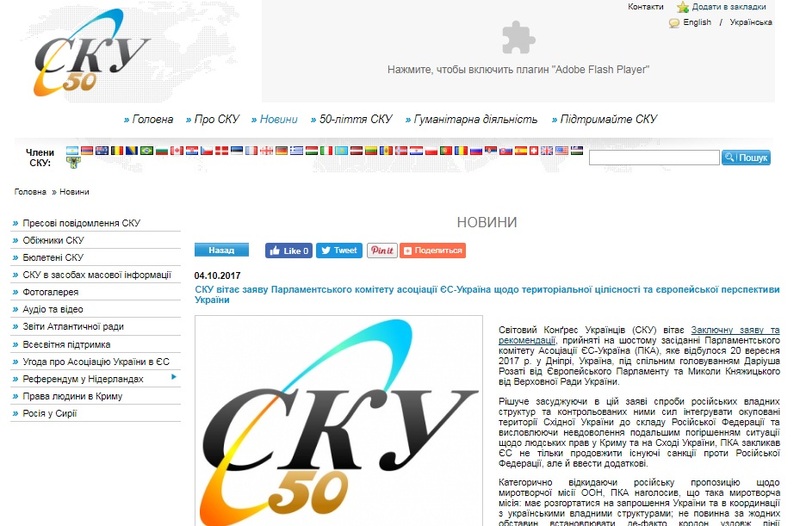 Russian controlled Crimean television station TRK Krym covered the so-called congress by broadcasting the gathering’s highlight, a round table entitled Cooperation of the Ukrainian national-cultural autonomy of Crimea with compatriots abroad. Among the participants were well known Russia vassals and Ukraine haters. 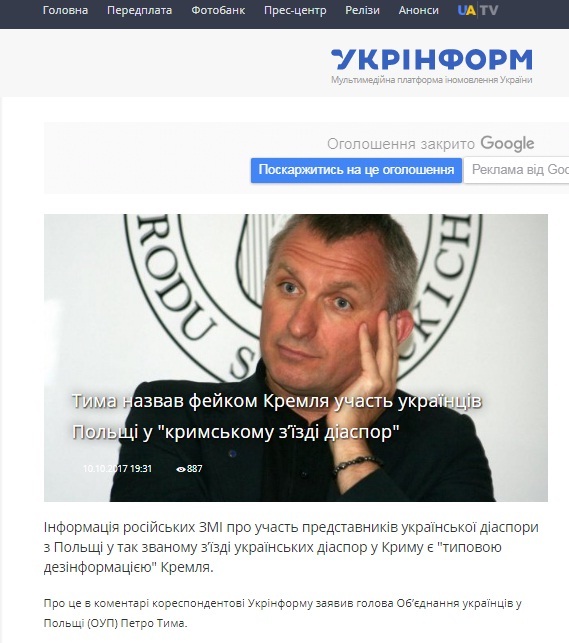 One of those, former Regions Party MP Vadim Kolesnichenko, during his parliamentary tenure spearheaded legislation curtailing the Ukrainian language and expanding the Russian language. Mr. Kolesnichenko fled Ukraine in 2014 and lives comfortably in Moscow. Other participants were Mikhail Kushakov, deputy education minister of the self-proclaimed Donetsk People’s Republic and journalist Rostyslav Ishchenko, who writes for several pro-Kremlin publications and regularly represents a Ukrainian pro-Kremlin view on Russian television programs. 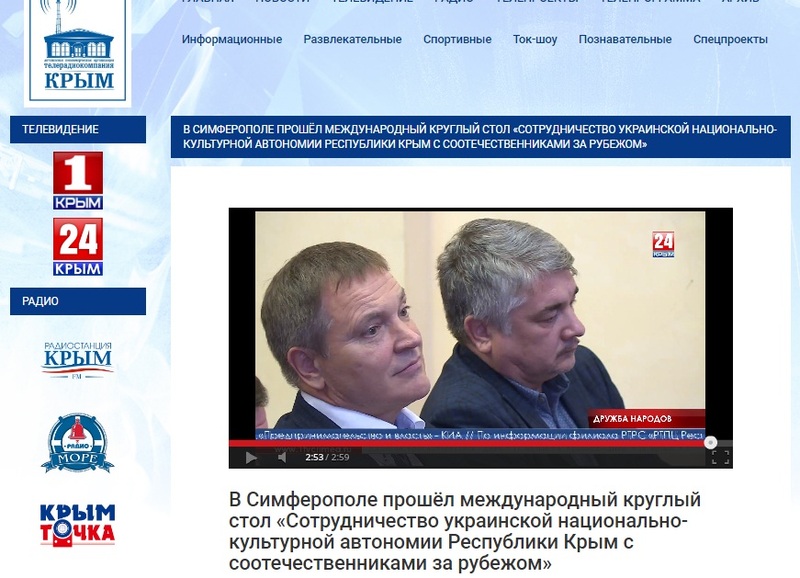 The Ukrainian Community of Crimea, another group dreamed up by Kremlin fakers, whose chairman Oleg Usyk is a local MP from the current ruling United Russia Party featured prominently in the congress. 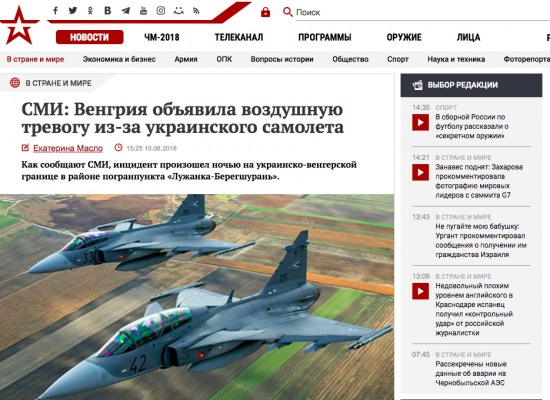 Russian media reported that members of the Union of Ukrainians in Poland attended the meeting, which Union chairman Petro Tyma vehemently denied. 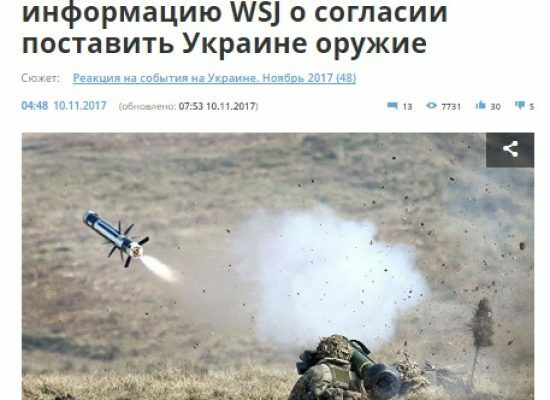 “Nobody from the Ukrainian community in Poland went to that so-called congress” Tyma said and called the event an example of “typical Kremlin disinformation”. 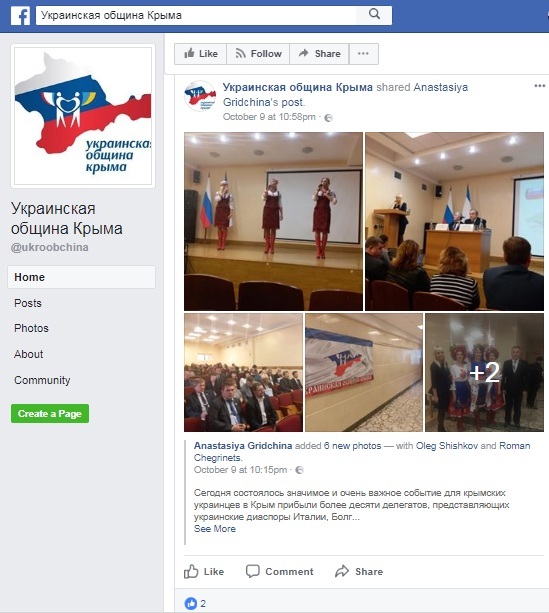 Meanwhile the World Congress of Ukrainians, a global body representing Ukrainian diaspora communities throughout the world had never even heard of the Crimea gathering and most certainly was not asked to participate in the fake congress. 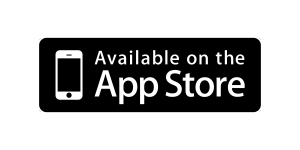 The organization did however express support for the recent EU-Ukraine Parliamentary Association Committee statement on the territorial integrity of Ukraine and its European integration process. 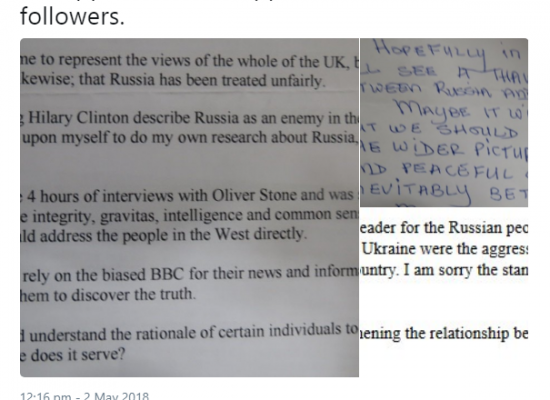 Is the Russian embassy in the UK writing letters to itself?